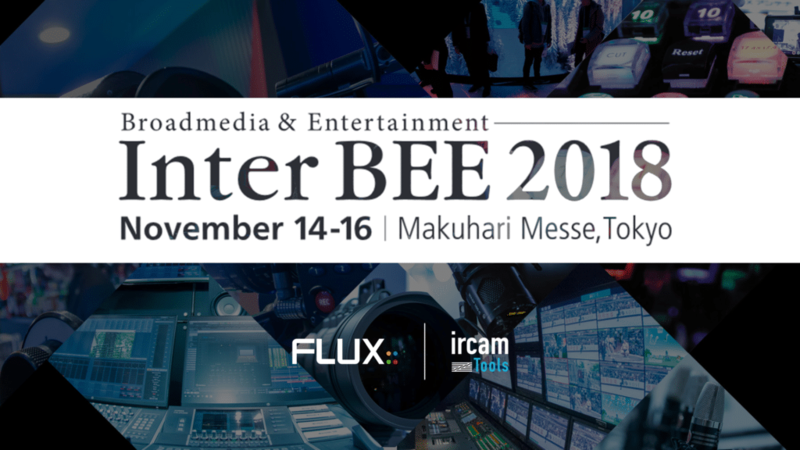 Come and visit us at the International Broadcast Equipment Exhibition 2018 in Tokyo, November 14-16th, where you will find us together with our partner and distributor, Media Integration. International Broadcast Equipment Exhibition, “The Professional Show for Audio, Video and Communications”, is a 3-day event being held from 14th November to the 16th November 2018 at the Makuhari Messe in Chiba, Japan. This year at InterBee Flux:: founder and lead developer, Gaël Martinet, together with our Japanese partner, Media Integration (Hall 2 / 2115), will be presenting Spat Revolution Immersive Audio Engine and its unique features, high degree of create freedom, routing and transcoding capabilities, as well as Dolby Atmos, Ambisonics, NHK 22.2 and many of the additional formats supported by Spat Revolution. Together with Avid Live Sound partner Audio Brains, further presentations will focus on Avid VENUE S6L integration with the Spat Revolution Real Time Live Audio Engine. The presentations will discuss the integration of virtual source control in Avid S6L console and the power of the snapshot system to create automation with timing interpolation parameters.